Edcamps are different from the kinds of professional development experienced in most school districts. Edcamps put YOU in charge of your learning. Choice is the theme from the very beginning of the day. You CHOOSE whether or not you want to attend an Edcamp, it isn't forced upon you. At the beginning of the day, sessions are decided based upon what the participants CHOOSE to learn about that day. Anyone who wants to initiate a discussion on a topic can CHOOSE a time and space on one of the boards. You CHOOSE which sessions will benefit you the most and, if you happen to go to a session that isn't what you thought it would be, you are free to CHOOSE to leave and go to a different session. 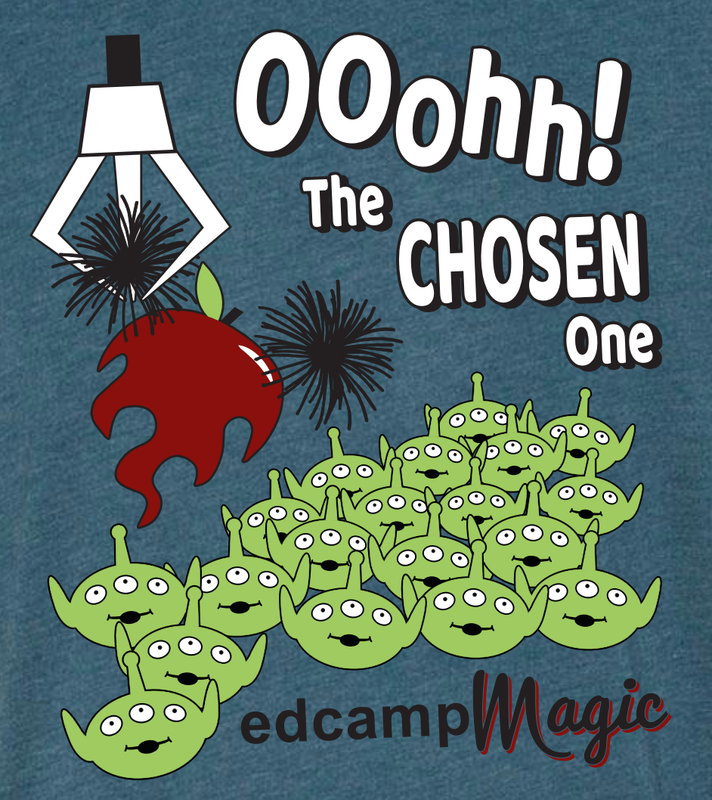 Continuing on the theme of choice, and playing off the fact that Walt Disney World's Toy Story Land is scheduled to open at the end of June, the 2018 EdcampMagic T-shirt was designed to playfully show everyone that EdcampMagic is your "CHOSEN" Professional Development. We hope you are making the choice to share in this magical day of learning, and look forward to learning with you! 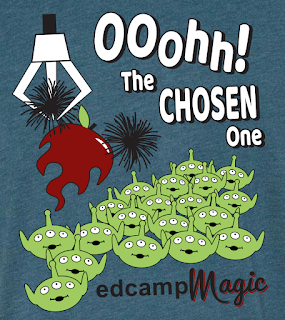 Order your EdcampMagic t-shirt today! We are excited to announce that former Walt Disney Imagineer, Brian Collins will be joining us for a magical day of learning at EdcampMagic on June 9th! 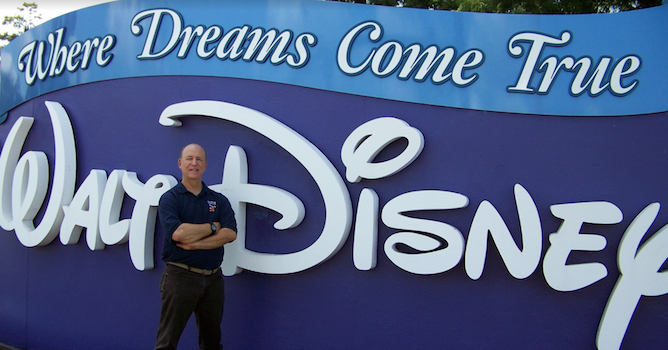 In addition to being a former Walt Disney Imagineer, Brian is also a passionate educator who has served on the faculty of several schools and is known for developing innovative approaches to education. Brian is looking forward to learning with everyone at EdcampMagic 2018! You can learn more about Brian here. Want to be an EdcampMagic VoluntEAR? Would you like to be a part of the magic? We could really use your help! We have a variety of opportunities where you can get involved on Friday and Saturday to help make the magic happen! If you are interested in helping out, please fill out our EdcampMagic 2018 VoluntEAR Form as soon as possible. Help Countdown the Days Until EdcampMagic 2018! Are you as excited about EdcampMagic as we are? We’d love to see your excitement and creativity in action! Help us countdown the days until EdcampMagic by contributing an image to the countdown slides! We will share your slides on Twitter as we countdown the last 30 days until EdcampMagic. We also encourage you to share your excitement by tweeting your images using #EdcampMagic.